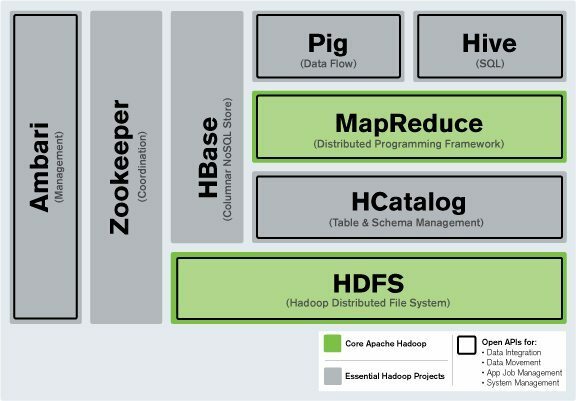 Hadoop is an open source implementation to support distributed computing, originally based on Google’s papers of MapReduce , Big Table , and GFS . 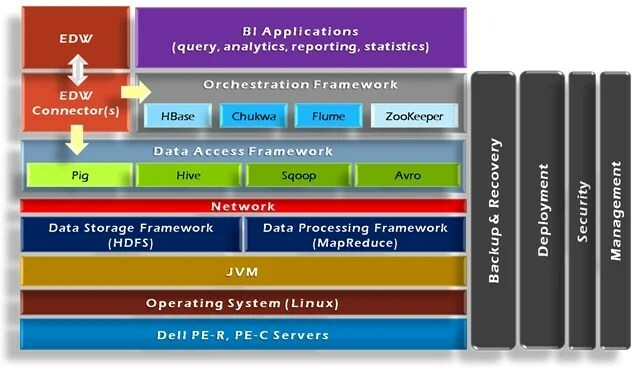 Initially Hadoop is built to support Apache Nutch , a crawler sub-project of “Apache Lucene”:http://lucene.apache.org/java . But (with the support of community, especially from Yahoo!) it has graduated to be a top level Apache project and become one of the most popular framework for distributed systems, which can be deployed on large clusters of commodity hardware. Some steps for setting up a single-node Hadoop cluster using the Hadoop Distributed File System (HDFS) on Ubuntu Linux. The main goal is to get a “simple” Hadoop installation up and running so that you can play around with the software and develop with it . + Sun Java 6 (See Sun_JDK_Ubuntu for more information) . $ sudo add-apt-repository "deb http://archive.canonical.com/ maverick partner"
4. Select Sun’s Java as the default on your machine. The full JDK which will be placed in /usr/lib/jvm/java-6-sun . Actually, this is not required. We’ll skip it since this is for quick development, not dedicated deployment. In this artical, I’ll use the admin user *hduser* for related Hadoop operations. + SSH configuration (See SSH Without Password for more information) . By default, Ubuntu have SSHd up and running, and already configured to allow SSH public key authentication. As this is single-node cluster , our “remote” host is actually the same with “localhost” (devserver). hduser@devserver:~ $ ssh-keygen -t rsa -P ""
Now you should be able to login SSH without password. Download Hadoop from the Apache Download Mirrors and extract the contents of the Hadoop package to a location of your choice. I picked /opt/hadoop . The options on official page may make the new user feel confused or overwhelmed. Note: if you already add $HADOOP_HOME/bin to the $PATH, just use the “hadoop” is enough. Otherwise you should use “bin/hadoop” from $HADOOP_HOME for every Hadoop commands. 11/12/20 16:59:56 INFO common.Storage: Image file of size 96 saved in 0 seconds. 11/12/20 16:59:57 INFO common.Storage: Storage directory .../hadoop-hduser/dfs/name has been successfully formatted. We can also check with netstat if Hadoop is listening on the configured ports. If there are any errors, examine the log files in the logs directory. We’ll run the wordcount job (http://wiki.apache.org/hadoop/WordCount) . drwxr-xr-x 2 hduser hdgroup 4096 2011-12-20 11:26 .
drwxr-xr-x 6 hduser hdgroup 4096 2011-12-20 12:02 .. Restart the Hadoop cluster if it’s not running already. Then check your JRE version to make sure it support wildcard on classpath; and if the user is at $HADOOP_HOME directory.